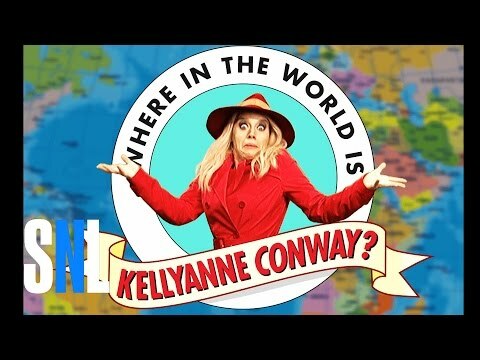 SNL Asks: Where In The World Is Alpine's Kellyanne Conway? ALPINE, N.J. — It seems Alpine's Kellyanne Conway is spending less time in the limelight as U.S. President Donald Trump's aide. This weekend, NBC's "Saturday Night Live" aired a two-minute sketch called "Where in the World is Kellyanne Conway," in which contestant would guess based on clues. "She hasn't been seen in weeks," actors said on the show. "No one knows where she is or what she's up to." CLICK HERE TO SEE HOW IT ENDS.